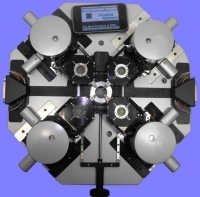 LaVision’s product range includes modular laser imaging systems based on spectroscopic techniques for multi-parameter and multi-dimensional flow field measurements for combustion, spray and flow visualization. Browse all LaVision products on Lastek website here. Lyncée Tec SA combines for the first time in microscopy nanometric resolution, real time and non-invasive 3D observations in a revolutionary technology called "Digital Holographic Microscopy" (DHM™). Nanonics provides the most comprehensive range of unique SPM, NSOM or SNOM systems available today. The origins of Solartron Analytical go back to 1947, when two engineers, E. R. Ponsford and L. B. Copestick, based in Kingston on Thames, United Kingdom, started to do subcontract work for the GPO (General Post Office) and the Admiralty Research Laboratory, which was based at Teddington. In 1948 they registered the company name, Solartron, and started the manufacture of pulse generators, power supplies and oscillators. They also designed and introduced an oscilloscope to the product range.